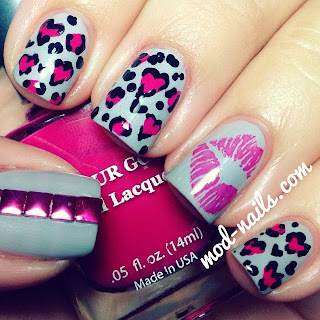 It's a little early to start the Valentine's Day madness (Stores apparently don't think so -_-) but here's a highly requested tutorial for heart shaped leopard nails! Colour Gossip's "Just A Tease"
I love the pink and gray together and I've been meaning to make this tutorial since last year and finally got around to it. Let me know if you have any other requests!